Everett PTSA Council Membership Drive Form 2018-2019. WHY JOIN PTA? (click here for National pdf flyer for families and here for schools. The strength of your PTA lies in its membership—the parents, teachers, school administrators, business leaders, and community members who devote themselves to making a positive difference in the lives of children. Members are the lifeblood of PTA and provide the passion, leadership, and hard work needed to fulfill PTA’s Mission. 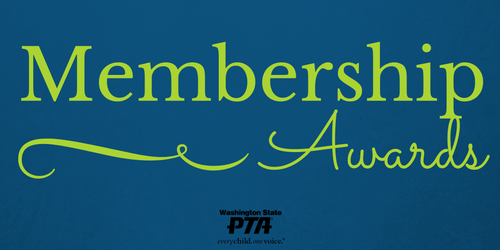 When you become a member of your PTA/PTSA, you also become a member of Washington State (the largest volunteer association dedicated to the well being of ALL children in Washington State) and National PTA. Additionally, you become a part of the national effort to improve the education, health, and welfare of every child. PTA and PTSA membership numbers count in a significant way when our representatives are lobbying for funding for education in the legislature or congress. 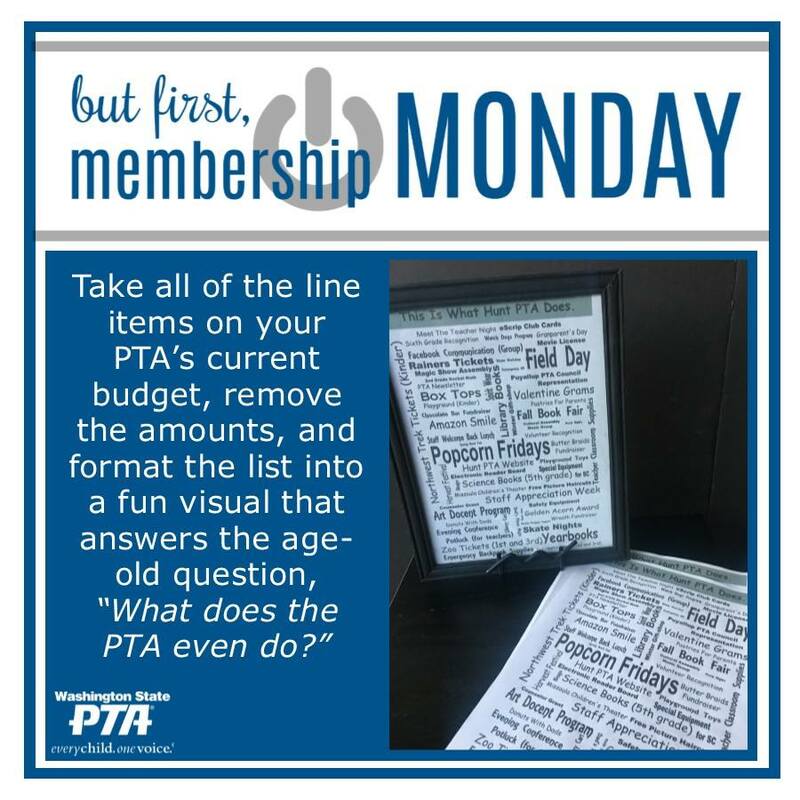 Be sure to remind your community of the great benefits available to PTA members! Your PTA can change the world. It can turn a school building into a second home. It can expose children to the arts for the very first time. It can welcome marginalized populations, foster new ideas, and speak up for all children. But, just as you must power up a device before using it, you must supply the power to your PTA before it can move mountains. First, you need members. Your PTA's voice is determined by its membership. The more people who join your PTA, the louder and stronger your PTA's collective voice becomes. Now more than ever, PTA leaders are getting pulled in a million directions, and it can be hard to stay focused on what's important when there are so many events and ideas competing for your attention. That's why Washington State PTA is excited to present its new membership slogan, which serves as a reminder for us all that we can change the world. But first, we need members. Click here for this helpful flyer that explains that Washington State PTA’s revenues come primarily from membership services fees (67%), convention (17%), and award sales (7%) with the balance made up of fees for Legislative Assembly and region conferences, fundraising affinity pro- grams, and interest on investments. The information below explains how those revenues are used to serve WSPTA’s local units and councils, and through them our 150,000 members. Click here for a map that shows how your dues are distributed.